Captured Confederate raider Gary Diamond agrees to work with the Yankees to prevent any further bloodshed by warning a Confederate regiment against attacking heavily defended Yankee Fort Yuma. It seems you can't go wrong with a Giuliano Gemma movie. This western, like all of the others I have seen him in, is a fine example of the spaghetti western genre. It has a great score with a haunting title track that recurs at several points in the film. 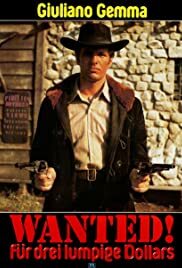 The score leaves no doubt that you are watching a eurowestern from the late 60's, and to me that is a very good thing. The action scenes are very well done, and they really draw you in. I especially enjoyed the first one, in which Gemma's character and two deputies are in a wagon hauling gold, and they have to fend off an army of about 100 bandits. This is a very compelling story that holds your interest from start to finish. I highly recommend this film to anyone who enjoys a good spaghetti western.